Providing the legal service at the highest level is a main purpose of our law firm. Rich experience in the service delivery is singling us out for individual clients and business entities. 8 consultation and the interaction with other law firms, also foreign. Office in the form of civil law partnership has been functioning uninterruptedly since 1996. Young lawyers have been getting for years experience undergoing applications and professional internships in the Office. Together we are forming an outstanding team for versatile matters and we are measuring ourselves with legal issues of conducted cases. We are based on principles of practising a profession gained by partners who undergone applications and acquired experience at the work with famous attorneys-at-law from the historical Law Firm No. 1 in Grójec, which for years offered knowledge both for customers, and for trainee graduates of the legal art. We are combining the tradition of this place and principles of the practising a profession resulting from self-government norms, requirements and expectations as for the modern legal service. Our experience allows providing the legal aid both in traditional civil cases, as well as for the special service of entrepreneurs in commercial litigation cases, bankruptcy, in commercial partnerships or companies or banking law. It is taking not only a lead of commercial processes but also transforming companies, finance investments and due diligence analyses of bought enterprises. From the beginning of our activity we have been conducting legal services for self-government units, what allows using the rich practice in applying the administrative law and court-administrative proceedings. Advocate Dr. Monika Strus-Wołos is a founder member of the legal international association of European Lawyers Network with the registered office in Spain, gathering attorneys-at-law from almost of all countries of Europe, also from outside the EU. As part of ELAN Group we cooperated with friends in cases of our Clients from the Czech Republic, Hungary and France, among others. Graduate of the Faculty of Law and Public Administration of the Warsaw University (1991). Advocate’s trainee of the Radom Bar Chamber in years 1992-1996. After passing a final exam and entering the list of attorneys-at-law, she became a partner of Strus-Wołos and Wołos law firm. She collaborated on privatizations of the largest Polish companies. Participant in many international trainings of both educational programs in the European law and the protection of Human Rights. Member of District Bar Council in Radom in years 2004-2007 and delegate of the Radom Bar Council to the National Bar Assemble in years 2004, 2007, 2010 and 2013. For many years member of a Committee of Human Rights at the Polish Bar Council. In years of 2004-2013 chairman of the Committee of the PR and Pro Bono Activity of the Polish Bar Council. 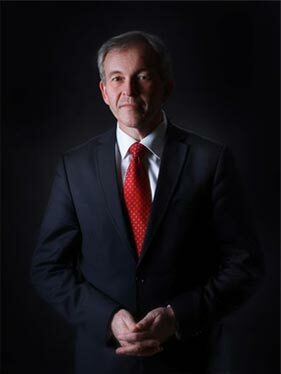 Member of the Polish Bar Council in 2007-2010, and in 2010-2013 member of the Presidium of Polish Bar Council. She chaired the Program Committee of the Extraordinary National Bar Assemble in March 2010 and prepared materials for this Assemble. In 2008 she received the badge „the Polish Bar for the meritorious”. She lead trainings for apprentice advocates (the EU law, human rights and the civil law) and for attorneys-at-law (commercial law). Academic teacher on scientific conferences. In 2012 chef of the Polish Bar Council observer mission during the parliamentary election in Georgia. In 2013 chef of the observer mission of observing human rights in Kazakhstan. 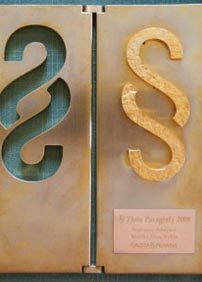 For social activity and legislative help for the hospice movement she received a prestigious award of the Gazeta Prawna „Golden paragraph 2008” at the category „The Best Lawyer”. In 2009 distinguished in the competition „Lawyer Pro Bono” of daily newspaper Rzeczpospolita, and in 2012 winner of the competition „Professionals of Forbes”. In May 2010 she obtained the title of the Doctor of jurisprudence conferred by Cardinal Stefan Wyszyński University in Warsaw for the dissertation from the field of the civil procedure and the bankruptcy law. Author of many publications in civil law, the civil procedure and functioning of the Bar. Co-author of commentaries on the Registered Pledge Act and the Code of Civil Procedure. Graduate of the Faculty of Law and Public Administration of Maria Skłodowska-Curie University in Lublin (1988). Court application in the District Court in Radom (1988-1991). After passing a judicial exam court assessor at the Regional Court in Przysucha (1991-1993). After passing an exam of the legal adviser in 1993, he entered on the list of legal advisers of the Kielce Chamber of Legal Advisers. Advocate’s trainee of the Radom District Bar Council in years 1994 – 1996. After passing examination of the Bar and getting the entry to the list of attorneys-at-law, he became partner in Strus-Wołos and Wołos law firm. Member of the Radom Bar Council in years 1998-2001. Judge of many years’ standing of the disciplinary court of Radom District Bar Council, since 2010 President of this Court. Accredited Mediator of the Mediation Centre by the Polish Bar Chamber. Wide involvement of our Office in pro bono activity is our „trademark” . Advocate Dr. Monika Strus-Wołos for a few years has been a member of the Board in a Polish branch of international charity Aid to Church in Need (Kirche in Not, Pomoc Kościołowi w Potrzebie, Aide à l’Église en Détress). A main objective of the organization is help to persecuted Christians worldwide. In 2011 Pope Benedict XVI raised the organization to the rank of official Papal Foundation dependent directly to the Vatican. Since 2006 advocate Dr. Monika Strus-Wołos has been cooperating with the Warsaw Hospice for Children Foundation. She is a co-author of the draft regulation on the pediatric palliative care. She participated in lobbing action against the National Health Fund for eliminating provisions discriminating the children suffering from an non-malignant incurable illnesses. She is also a co-author of draft of Patient’s Rights and the Spokesman of Patient’s Rights bill and some other acts. 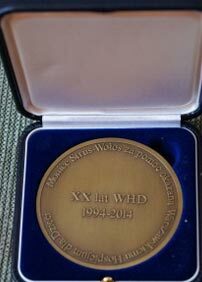 For her activity for WHCF during the jubilee gala in September 2014 on the occasion of the 20th anniversary of the Foundation she was honoured with personal commemorative medal, alongside 3 outstanding professors of medicine. Dr. Monika Strus-Wołos received also a prestigious award of the Gazeta Prawna „Golden paragraph – the Best Lawyer 2008” and was distinguished in the competition „Lawyer Pro Bono” of daily newspaper Rzeczpospolita, for her activity for the hospice movement. In years 2007-2013 advocate Dr. Monika Strus-Wołos was a national coordinator of the all-Polish action organised by the Polish Bar Council called “Day of Free Legal Advice”, which granted the legal aid to thousands of Poles finding themselves in a difficult financial situation. 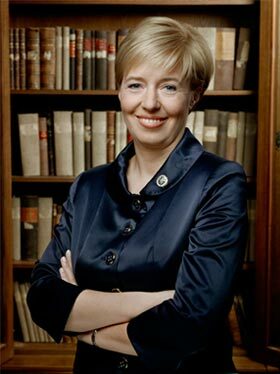 In 2012 advocate Dr. Monika Strus-Wołos was the chef of observatory mission of Polish Bar Council during the parliamentary election in Georgia. The mission met also with representatives of the Polish community abroad in Georgia and transferred aid to Polish schools. In 2013 advocate Dr. Monika Strus-Wołos at the request of the Open Dialogue Foundation organised and chaired the legal observatory mission devoted to breaches of human rights in Kazakhstan, in particular for persecution of political prisoners. Members of the mission also met in Pietropawłowsk with the Polish community abroad to which they passed the financial help on. Next, Dr. Strus-Wołos participated in lobbing action (among others at the European Parliament in Brussels) being aimed at a release of political prisoners in Kazakhstan, in it in particular Roza Tulietayeva, the only woman sentenced for the long-standing stay in a penal colony with tightened discipline after the massacre in Zhanaozen. The mission significantly contributed to freeing Roza in 2014. Partners of the Office are also participating in many local charity actions. Adw. Monika Strus-Wołos is an author of article "Raising the Bar" - The role of self-goverments and associations of lawyers in the development of pro bono activities. Adw. Monika Strus-Wołos has written numerous articles on Polish Civil Procedure, Civil Law, Bankruptcy Law and Aviation Law. After-conference publication issued by Faculty of Law and Administration of University of Silesia. “Creditor's rights in the bankruptcy procedure”. The publication is the first in Poland, cross-sectional analysis of the procedural rights of creditors in bankruptcy proceedings from the practical point of view. It was also a dissertation of adw. 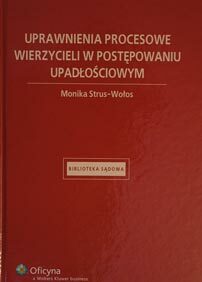 Monika Strus-Wołos, for which she obtained the title of the Doctor of jurisprudence. “Commentary on the Registered Pledge Act"
The Commentary was co-written with a judge of Polish Supreme Court, Zbigniew Strus, and had three editions, including electronic release.